Ensete Maurellii is a huge banana cousin. This odd group of plants grow very similar to bananas with large leaves and big trunks. Ensetes rarely sucker, they put all of there energy into producing a large plant. 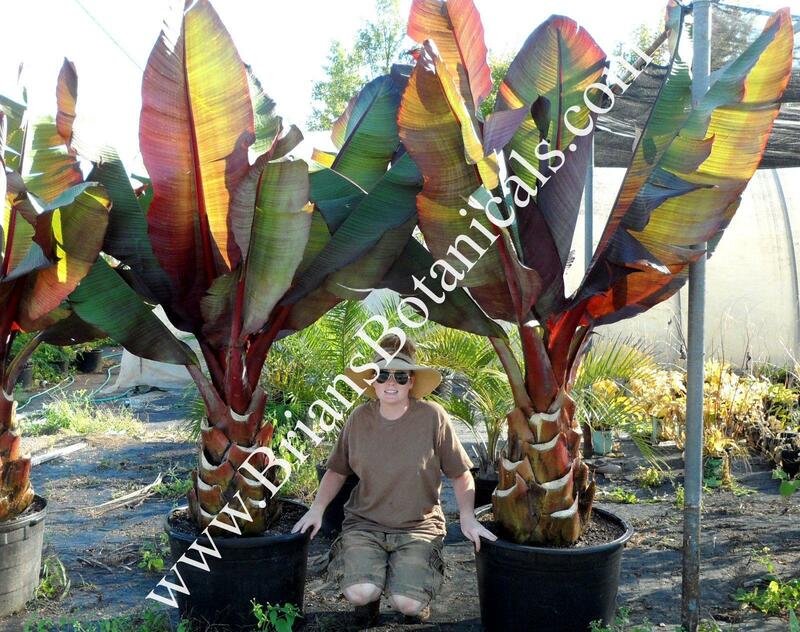 This is a dramatic display plants that can reach 10 to 20 feet tall with trunks 2 to 3 feet thick at the base. The flowers are giant star patterned flowers that are over 1 foot across. This plant is a great center piece in any tropical display. It grows fast huge and has great color. Plants are well rooted in 4 inch pots.